Earlier today, I reviewed a beautiful book about the complexities of mother-daughter relationships called SEA ESCAPE . I am so honored that the author of this novel, Lynne Griffin, agreed to write a guest post for my Book Club Exchange feature. I hope you enjoy reading about Ms. Griffin's experiences with book clubs as much as I did! For years I’ve longed to be a part of a successful reading group. My sister speaks lovingly about the book club she’s been a member of for twenty years, and I envy her experiences discussing books, choosing titles, meeting authors. I tried to start a group in my little circle of the world, and for a time, I did gather enough friends to talk about books. Sadly, busy lives and active kids intruded, and eight book choices later, the group disbanded. Long before mother-daughter book clubs became fashionable, my girl and I formed a partnership around the written word. She loved my suggestion to read a selected book and then set aside time to discuss it. The Phantom Tollbooth, Chasing Redbird, The Witch of Blackbird Pond, and Tuck Everlasting paved the way to The Summer of my German Soldier, Amy and Isabelle, Peace Like a River, and The History of Love. My daughter’s twenty-one now, and thankfully we still discuss books almost every day. Given my love of discussing all things book-related, imagine how over the moon I was when Life Without Summer was published, and I was invited to my first book club meeting as an author. The women were more than hospitable; all of them eager to talk about my characters as if they were real people. Until then, only I’d considered them to be more than figments of my imagination. They loved the scene when Tessa meets with Abby’s preschool teacher. Some got choked up talking about it, some admitted they cried as they read. They loved the character Ethan but despised Alden’s actions. To me, it’s a gift to learn what readers love, and an even bigger gem as a writer to learn what readers struggle with. Last week my second novel Sea Escape was published—a novel more personal to me than anything I’ve ever written before—and I’m anticipating visits with book clubs to discuss it. The story explores the ties that bind one woman to her mother. The character Helen struggles with what’s called prolonged grief disorder. A specific kind of depression brought on by loss that for some reason refuses to follow the typical trajectory of grief. Like my mother did, the character Helen gets stuck in the past, gripped by the pain of her loss. And like me, the character Laura tries to make sense of losing both of her parents. Inspired by my own mother-daughter relationship and the love letters my dad wrote to her in the early days of their romance, some may wonder if it will be hard to discuss this novel with readers. I expect conversations to be emotional and honest, exploring grief that is both universal and personal. Yet as personal as Sea Escape is, it’s a fictional story. It shines a light on an important topic hidden from view in many families, and I’m eager to share the story with readers. 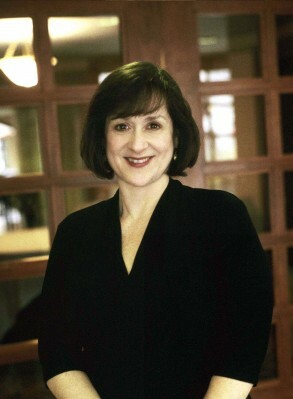 Lynne Griffin is an acclaimed novelist and a nationally recognized expert on family life. She is the author of the novels, Sea Escape (Simon & Schuster, 2010) and Life Without Summer (St. Martin’s Press, 2009). She is also the author of the nonfiction parenting guide Negotiation Generation: Take Back Your Parental Authority Without Punishment (Penguin, 2007). As the parenting contributor for Boston’s Fox 25 Morning News, she appears regularly in the segment Family Works. Lynne teaches in the graduate program of Social Work and Family Studies at Wheelock College, and at Grub Street Writers. She has written for Parenting Magazine, Scholastic Parent & Child, The Writer Magazine, and hosts the blog, Family Life Stories. Lynne lives outside Boston, Massachusetts with her family. I am so grateful to Ms. Griffin for writing this great guest post about her relationships with book clubs! If you are interested in participating in a future Book Club Exchange, please contact me at bookingmama(at)gmail(dot)com. Giveaway alert: I have copies of SEA ESCAPE as well as Ms. Griffin's previous novel LIFE WITHOUT SUMMER (which is supposed to be excellent!) to share with one lucky reader. To enter, just leave a comment with a valid email address telling me that you'd like to be entered to win both books. This giveaway is open until July 28th at 11:59 p.m. ET, and I will notify the winner the following day. This contest is open to those of you with U.S. and Canada mailing addresses only -- no p.o. boxes please. Good luck! Looks like I'm the first to tell you that I'd like to win! I am very interested in both books. I'd like to be entered to win both books :) *Thanks* for the giveaway! Please enter me to win both books. I am especially interested in read "Sea Escape" after reading your review of it. Please count me in to win both books. I bet Lynne is going to be invited to lots of book clubs from here on out. I'd love to win both books. They look amazing! Thanks for hosting this giveaway. looking through goodreads makes me want to read them..
this sounds like a lovely book--loved your review of it! please enter me to win! I'd like to be entered in your giveaway for both of Lynne Griffin's books. Your review of Sea Escape is sure to have every daughter clamoring for it. Life without Summer sounds promising as well. Congrats on the author's guest post. And thanks for hosting this giveaway. This gives me an idea. My mother and I live a long distance apart,and I think she would love it if we had a little book club with just the two of us. This book would be a good one to start with. Please enter me to win both books. Thanks. I'd LOVE to win the books! I would love to win these books, thank you for the reviews. They look like really great reads. I'd like to be added for the giveaway. I would love to win these books. Please enter me. I'd love to win both these. Thanks for the giveaway. I would love to be entered for both books. I am amazed her sister has been in the same bookgroup for 20 years too. Very cool. Would to win both books, I have read a great review of her other book, Life Without Summer, so I am very interested. I'd love to be entered to win both books. Many thanks. What a wonderful giveaway...please enter me! Thanks! I would love to win this book because I haven't read any books by this author but they both sound great. I love the idea that she and her daughter have been talking books all these years. No need to enter me. I'd be very interested in winning both of these books. Please enter me for both books! Please include me in your giveaway for both books. Thanks for the giveaway! I'd be interested in winning both books! I would love to win both books! Thanks for the chance! I'd like to be entered to win both books. Thank you! I would like to be entered for both books. They sound wonderful, and I'd love to read them. Please enter me. Thanks! I'd like to enter to win both books, please. These books look great and I would love to be entered to win both of them. I'd like to win both books! Thanks for the giveaway! I would love to win both books. I actually have read Life Without Summer and it's a beautifully written, very emotional read. I'd love to read these books. Please enter me in the giveaway. I'd love to read both of these. I can see myself reading both of these books on the beach while the kids are playing in the water! I would like to be entered to win both books. Thanks! Thanks for the chance at what look like a couple of good reads. I'd like to win both books. I have not read either of these novels but I sure would like to after reading your review. I love books, so I'd like to win.